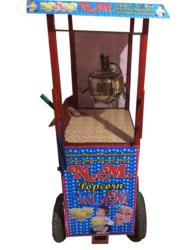 Commercial Popcorn Machine with 4 Nos 8" Tyres. 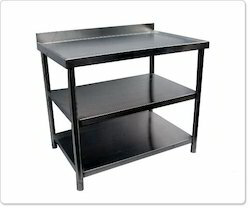 Our expertise lies in offering a wide range of SS Work Table support as per the specific requirements of customers. 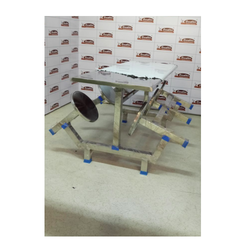 This custom fabrication support is offered using a variety of metals including aluminum, stainless steel, mild steel and others and meets customers’ complete fabrication and welding needs. Our expertise lies in offering structural support for processes involving transportation and others as well as also meeting the demands of complex manufacturing assemblies, heavy processing equipment, material handling systems and others. We offer complete support for creation of a complete industrial process to meeting fabrication requirements of the single component. Our expertise lies in offering a wide range of industrial fabrication support as per the specific requirements of customers. This custom fabrication support is offered using a variety of metals including aluminium, stainless steel, mild steel and others and meets customers’ complete fabrication and welding needs. Our expertise lies in offering structural support for processes involving transportation and others as well as also meeting the demands of complex manufacturing assemblies, heavy processing equipment, material handling systems and others. We offer complete support for creation of a complete industrial process to meeting fabrication requirements of a single component. 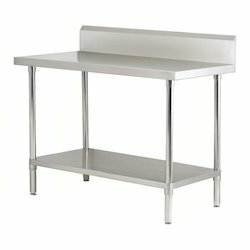 We are leading manufacturer and supplier of very high-quality Stainless Steel Work Table With 1 U/S to our most trusted customers. These products are available at very cost effective market price to our most reliable customers. These products have stainless steel food grade quality body construction. These products undergo various quality tests at each level of its production to ensure superior quality and flawless performances. Looking for SS Fabrication ?